The Outsiders are a Provo based hip-hop group, that has brought the-old school back to Utah in a very real way. 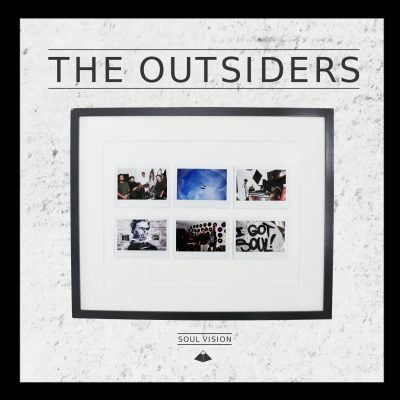 The release of their full-length album, Soul Vision, proves that The Outsiders are driven to create high-quality, inspired rap music that has a purpose. Sporting features from Salt Lake rap veteran Dusk and other local musicians, Soul Vision is a grassroots movement in an album that has the ability to stretch far beyond Utah. The Outsiders are populated by two emcee’s and two producers who have all perfected their styles and craft. The production on the entirety of the album is an ode to the glory days of hip-hop. Songs like “Dolla and a Dream” sound like a mix of RZA and Illimatic, using samples and drum kits that are straight out of the ’90s. Other songs, like “Mystery” and “Looking In” are much more modern-sounding, but are not mainstream by any means. Each track on the album is produced with a knowledge of the current state of hip-hop music and the roots that its newer sounds came from. The modern feel of some of the beats is a byproduct of good production quality. There is nothing simple about them. Each track is rich and complex, with samples that are very well-executed and melodies that work well with the vocal tones of each emcee as they rap. The lyrical prowess of the emcee’s in The Outsiders is impressive and smooth. In songs like “Looking In,” each verse complements the one that came before, and the hook is melodic and enticing. Every song on the album sports good-quality verses. Like the producers, the emcee’s of The Outsiders are obviously veteran listeners of hip-hop music. Still, they are able to remain unique and original, dealing with the struggles and joys of life in their lyrics.